The customer is king. The wishes of our clients are very important to us. Nowadays, they desire health, taste, and convenience. They also pay an increasing amount of attention to animal welfare. Van Rooi is following these trends closely. Social responsibility is increasingly determining consumer’s choices. Consumers do not seem to mind paying a bit extra to guarantee animal welfare. Aided by several quality marks and animal protection services, today’s customers make responsible choices. Famous chefs also play a large role in determining trends concerning meat. For several years, they have been promoting quality meat and increasing awareness about animal welfare. Their new menus have contributed to the popularity of pork. They do not shy away from using some of the parts of the pig which used to be considered less desirable. What used to be old-fashioned, has become trendy again. But sustainability and welfare for the cattle and pigs continue to have great significance. Van Rooi Meat is continually keeping an eye on signals from the market. It makes sure that the pig farmers hear those signals and are able to make the changes the customers desire. For example the increase of animal welfare, like more space for the pigs, less use of antibiotics, and shorter transport. Van Rooi Meat has adapted the responsibility for man, pig and environment into two significant purchasing programs. The animal protection service strives to achieve a better life for, among others, pigs. 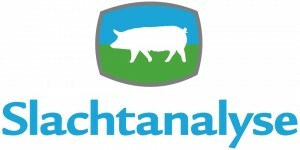 The Centraal Bureau Levensmiddelenhandel, which unites supermarkets and food services, is using the Pigs of Tomorrow to improve circumstances for man, animal and environment.